Accident d’avion avec un oiseau "Bird Striking"
J’ai reçu ça dans ma boite mail ce matin. Pour télécharger le document technique ci-dessous, cliquez ici. 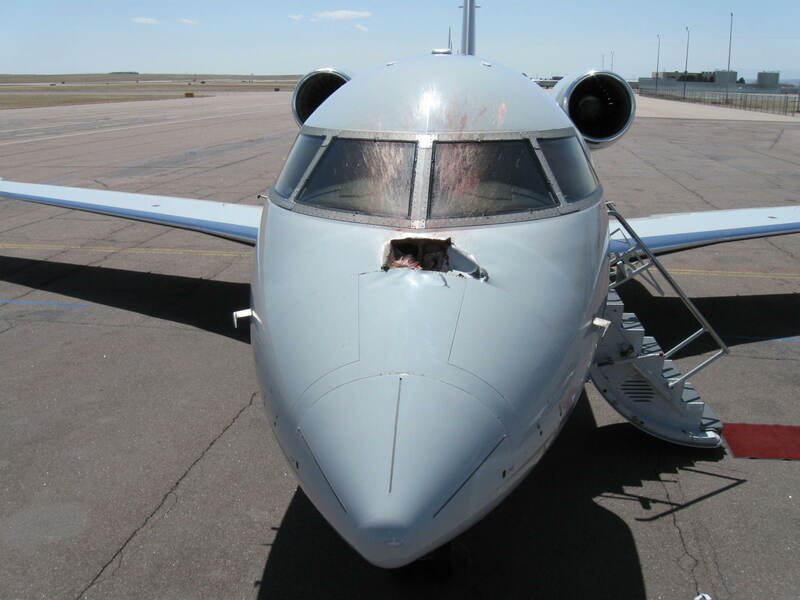 Shortly after departure from the Colorado Spring airport the aircraft encountered multiple large birds at an altitude between 2000 to 4000 feet AGL resulting in multiple bird strike impacts. One bird penetrated the nose area fuselage just below the windshield center post, continued through the forward cockpit bulkhead, and displaced the #4 display unit. Bird remains were sprayed throughout the cockpit. There is evidence the both engines ingested at least one bird with the crew reporting a power loss on the #2 engine. The crew conducted an air turn back and landed at the Colorado Springs airport without further incident. No injuries were reported. The NTSB and FAA are investigating this accident. The FDR and CVR will be downloaded. The bird remains will be recovered with assistance from a USDA biologist and sent to the Smithsonian Institute for identification. Bombardier has dispatched a FSR and MRP to assist the operator. 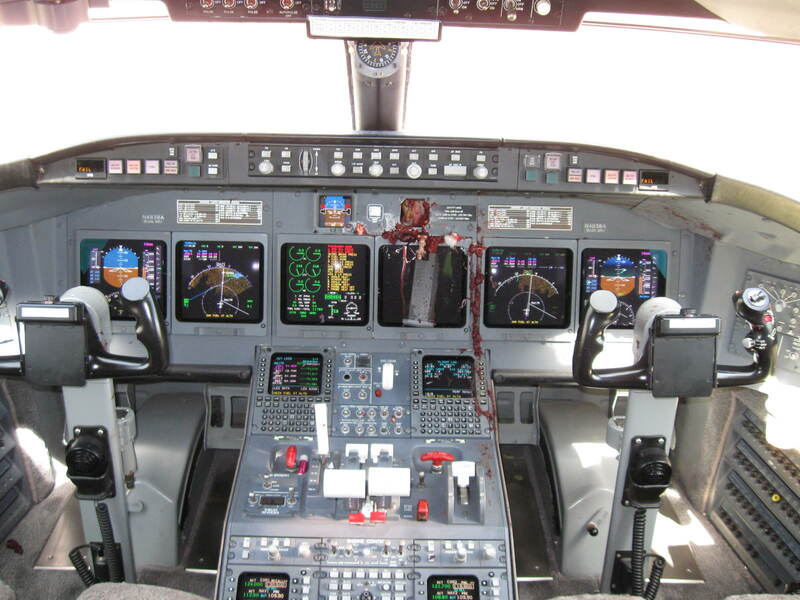 Air safety is in contact with the NTSB will support any investigation inquiries. The Challenger 604 is not equipped with a bird strike barrier on the forward bulkhead.